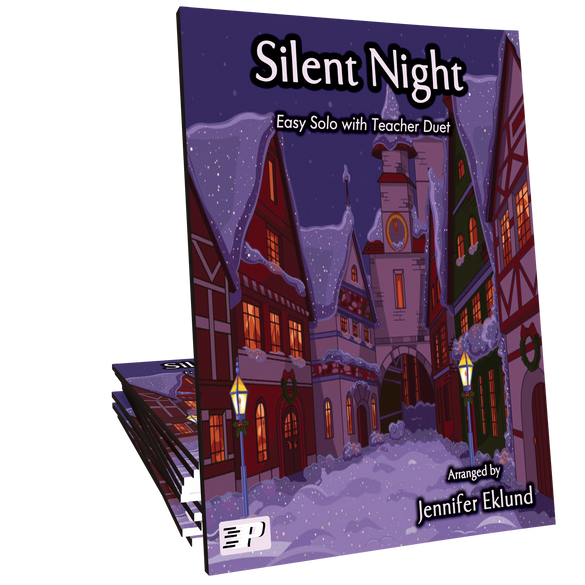 Silent Night duet is ideal for a primer or beginning level student and a teacher. 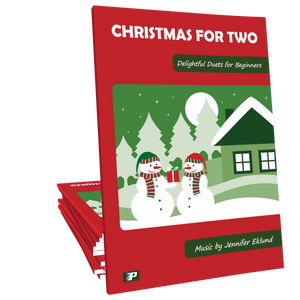 Arranged by Jennifer Eklund and part of the Christmas for Two songbook. Correlates to Piano Pronto method books: Keyboard Kickoff;Prelude; Movement 1. This is a beautiful arrangement! My piano students prefer Piano Pronto music. I’ve noticed that we’ve had the greatest student success since we’ve been using your music. Thank you so much! I love giving this to my adult students – they are more “nervous” when playing duets but yet really want to, so this was great to give to a couple of them and right away we could play it as a duet – what an instant sense of accomplishment it gave them. Used this for our performance at a rest home for Christmas. It was great for an older sibling to do with their younger one. Nice arrangement.